Many bluette overalls had the below badge attached. 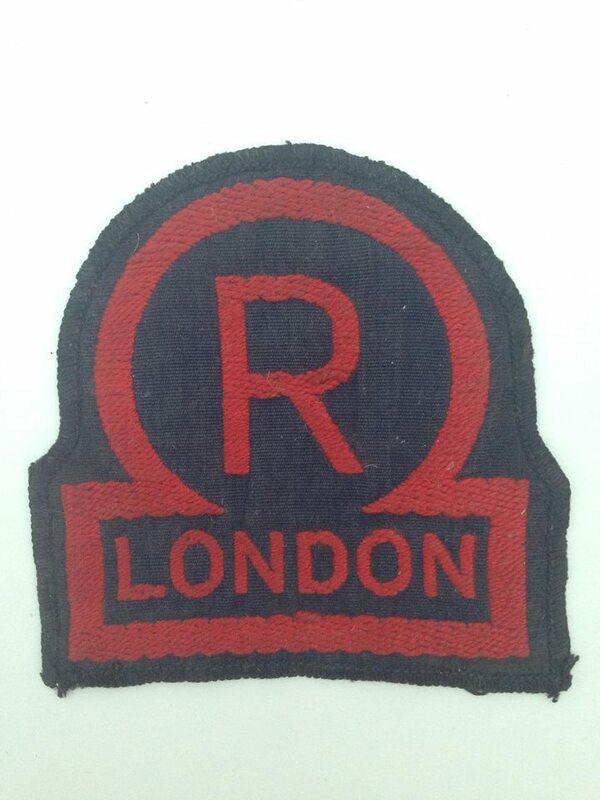 These badges also appeared on the battledress blouse as well. The new embroidered 'old gold' CD (Civil Defence) with crown badge was was introduced in the autumn of 1941 (to coincide with the release of the new uniforms). 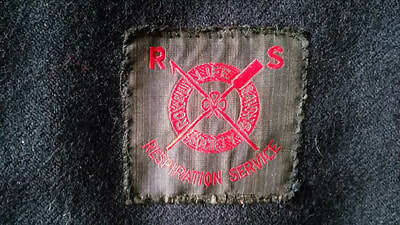 All new serge battledress and women's serge tunics had the badge sewn to the left breast pocket prior to the garment being issued. By the summer of 1943 a printed version of the CD badge was issued and the badge was no longer sewn onto the uniforms. It was envisaged that badges would be reused. A high number of period photographs show the red ARP oval badge being reused on battledress blouses - this was officially sanctioned. 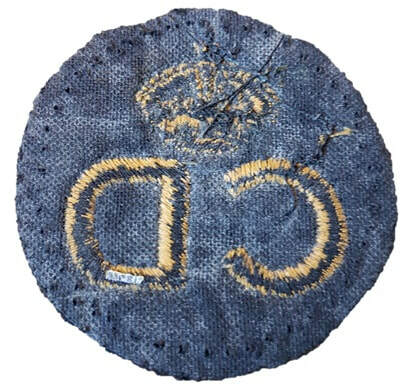 The badge was embroidered and measured 2.75" in diameter, in 'old gold' lettering surmounted with a King's crown on a dark blue backing. 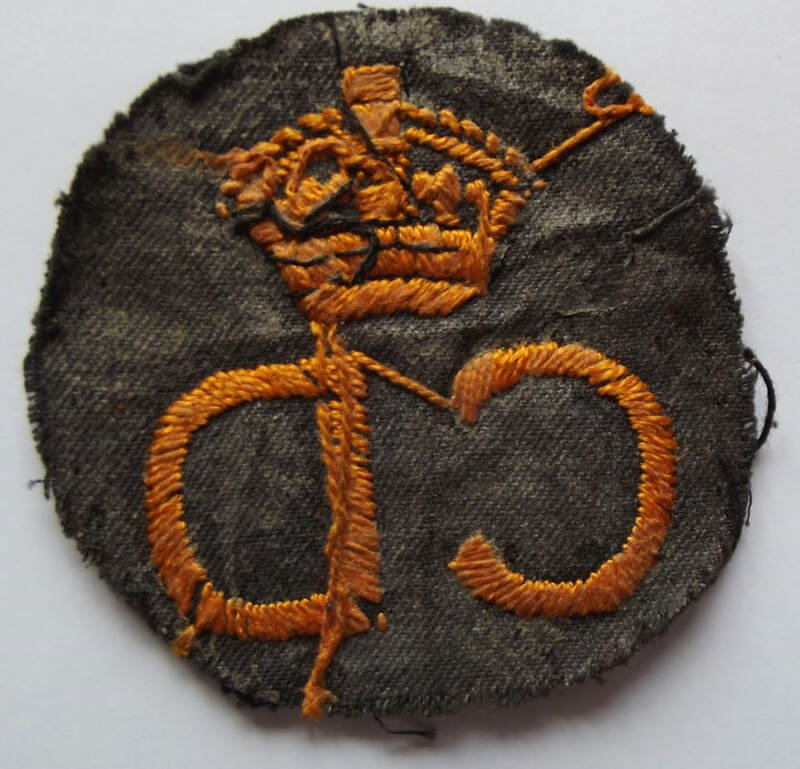 ​It was worn on the left breast pocket of the battledress blouse. 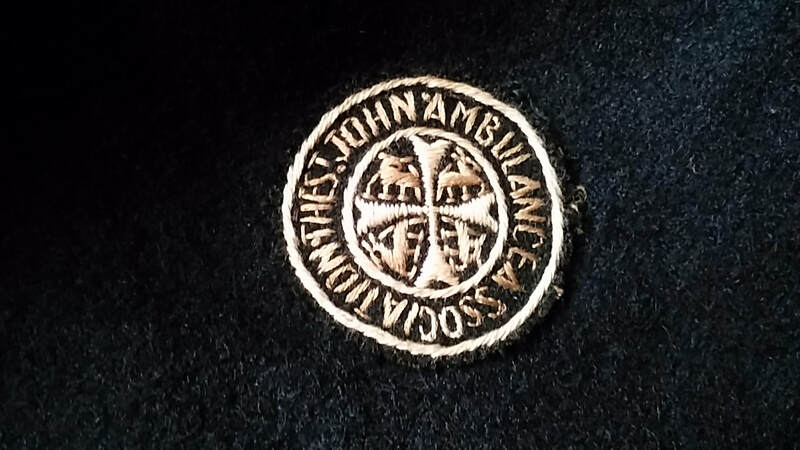 It was not to be worn on greatcoats. There are a few slight variations in existence due to the contractor used to manufacture them. 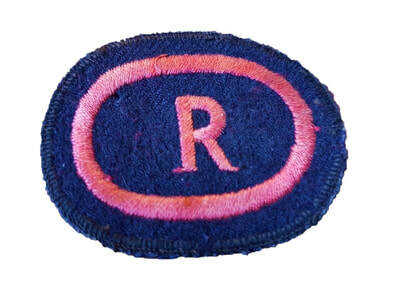 Standard pattern WW2 Civil Defence 'CD' Breast Badge (front). 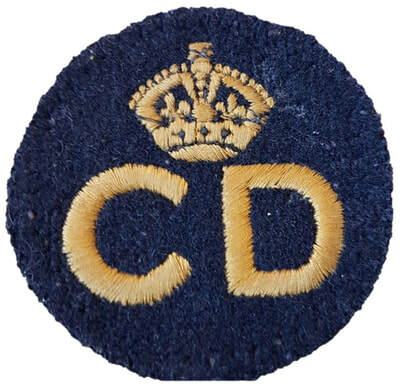 Standard pattern WW2 Civil Defence 'CD' Breast Badge (back). 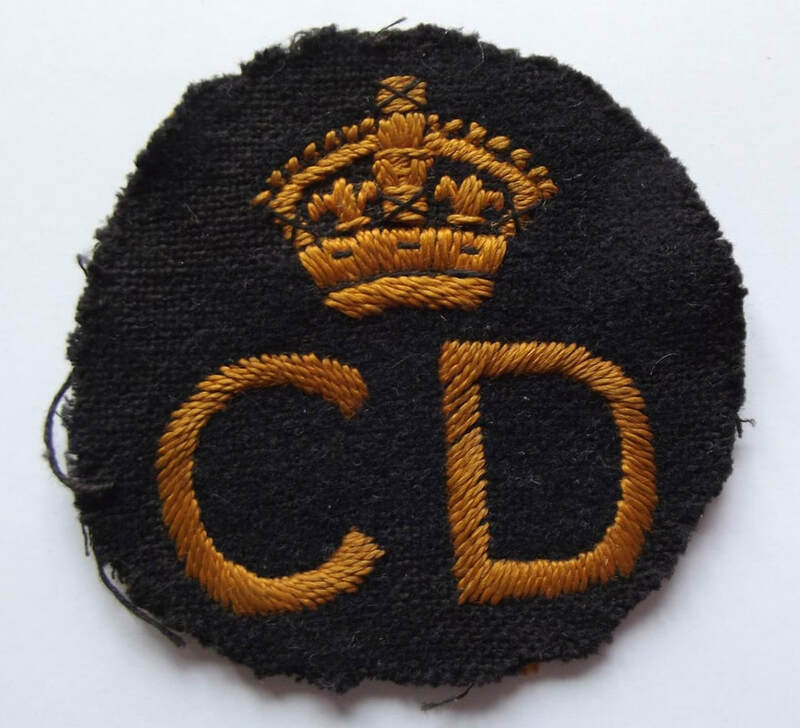 Locally produced WW2 Civil Defence 'CD' Breast Badge (front). Locally produced WW2 Civil Defence 'CD' Breast Badge (back). An original CD breast badge sewn to the left pocket of a battledress blouse. 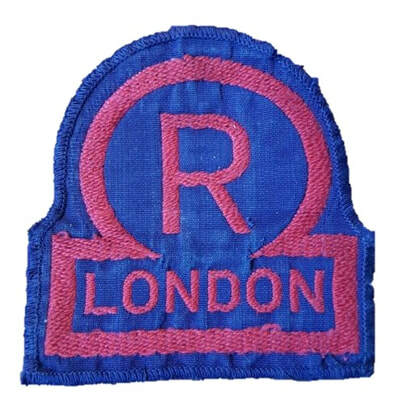 Rescue Parties operating from London Borough depots had a specific breast badge that replaced the CD badge seen worn by other CD personnel. When badges were not available some people refashioned existing badges to suit their needs. 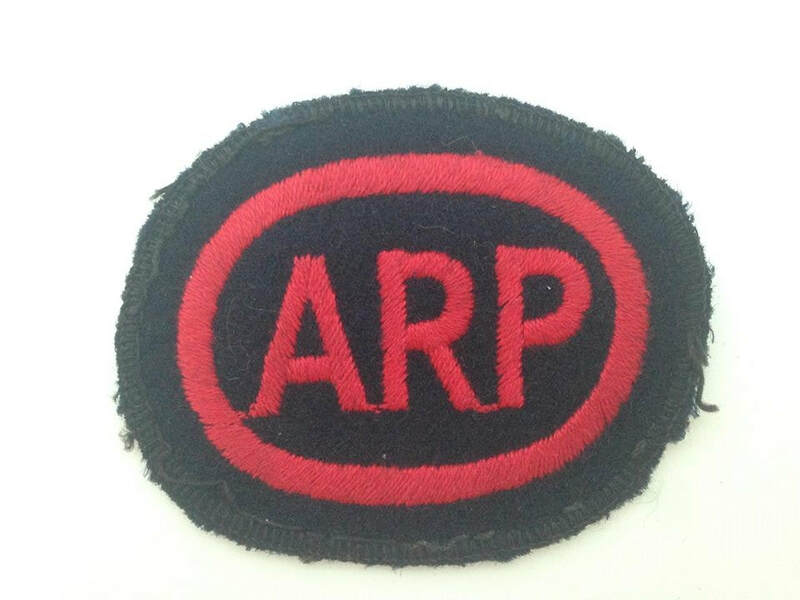 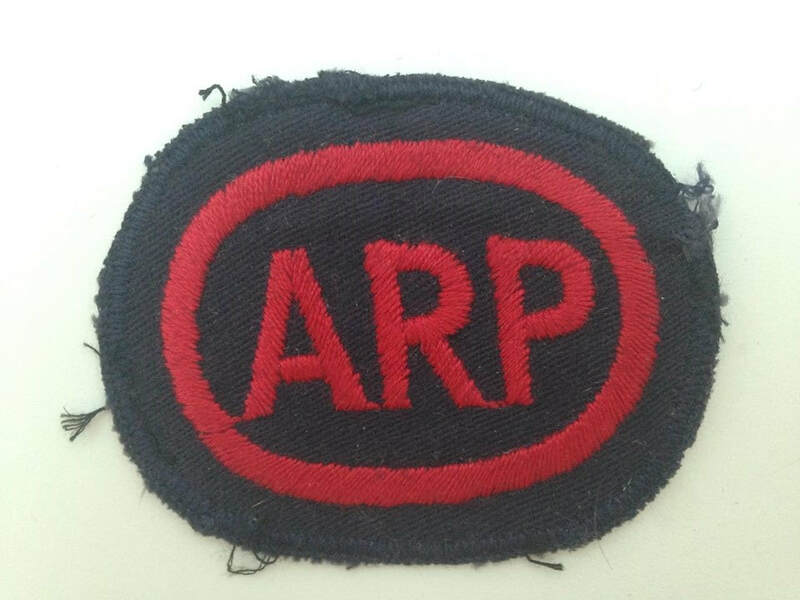 This Rescue badge has been made by unpicking the 'A' and 'P' from a standard ARP breast badge. 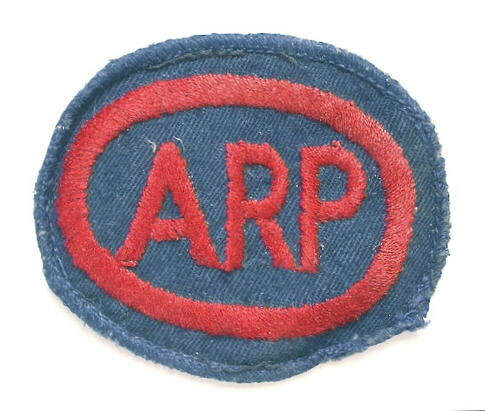 Rescue 'R' Badge Made From an ARP Breast Badge (front). 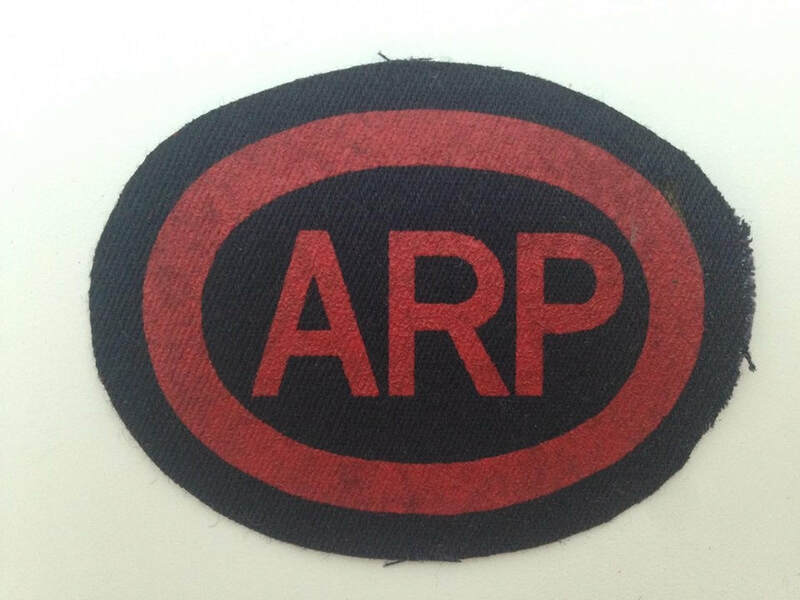 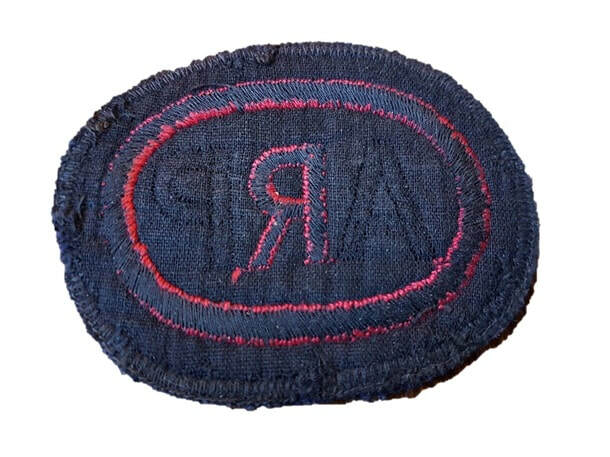 Rescue 'R' Badge Made From an ARP Breast Badge (back). CD breast badge for gabardine..
A breast badge was produced for the ARP Pattern 81 gabardine overcoat. 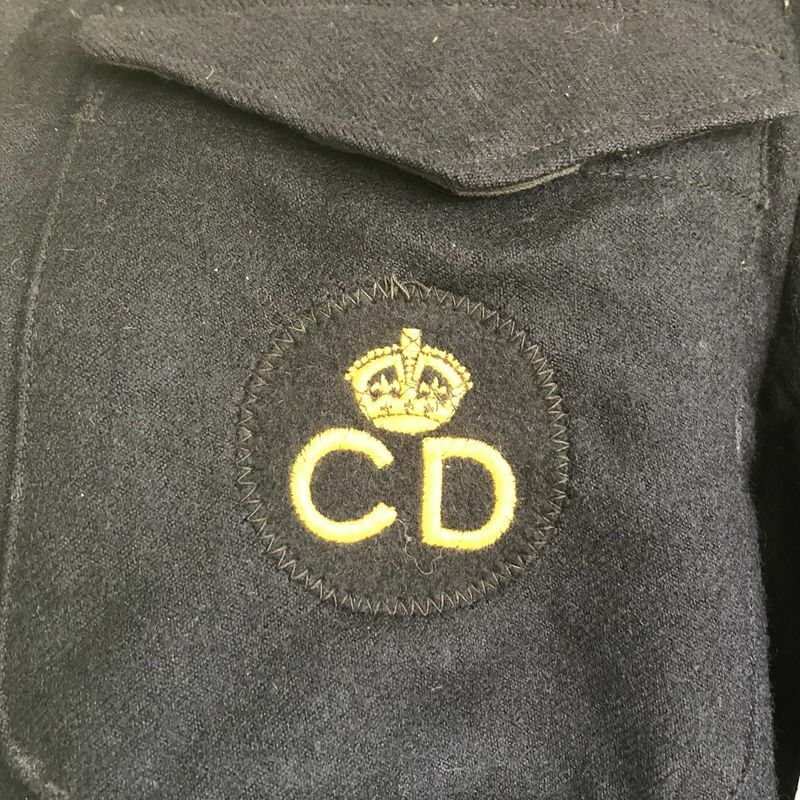 Those CD personnel that had qualified on a recognised first aid or life saving course could add an attainment badge to their right breast pocket. The more commonly seen badges on period photos are for the St. John's Ambulance and the Royal Life Saving Society. 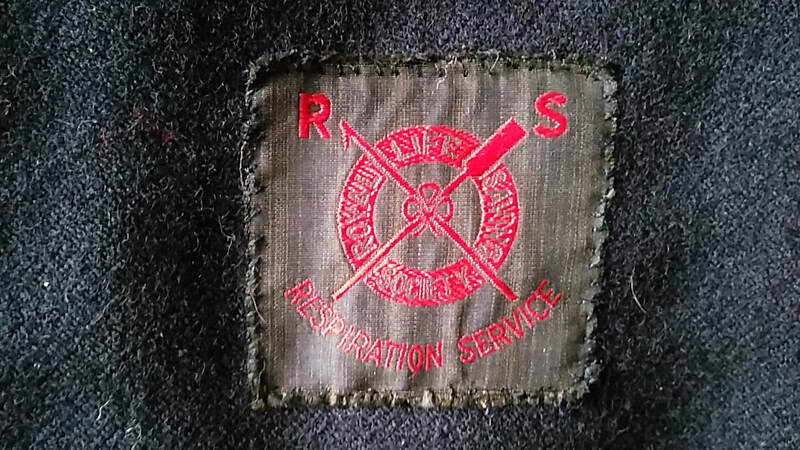 In some areas the badge was placed above the right pocket, and on some period photos it has been sewn onto the right sleeve.